Give her a trendy edge in the pretty See Kai Run Veronica shoe. 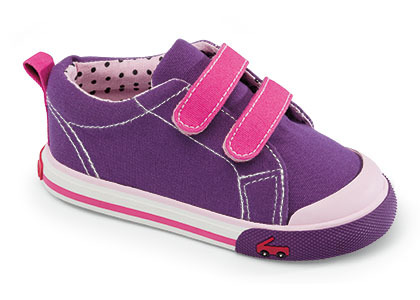 Cute and colorful, this girls' casual shoe features a canvas upper with a padded tongue; the hook-and-loop instep straps ensure a snug fit. The See Kai Run Veronica sport oxford is finished with a rubber sole for dependable traction and hours of stable stepping.